Any child born in Ohio needs to be supported by his or her parents. A paternity action (formally known as an action to establish a parent-child relationship) will decide who should be paying for that support, and how much the parents should be paying. Paternity is the legal establishment of the identity of a child’s father. The Ohio laws for establishing paternity are completely different for a man who is married to the Mother of the child and a man who is not married to the Mother of the child. • Or he is divorced from the Mother, but she gives birth to a child within 300 days after the divorce. This presumption of fatherhood can be rebutted with DNA testing if desired. If paternity of the child is not disputed between the Mother of the child and her spouse, or another man alleged to be the Father, then the man presumed to be the Father is also the legal Father of the child. There is a completely different analysis as to making a determination on the paternity of the child when the Mother is not married to the Father of the child. There is no “presumed” Father who gains automatic paternity through the laws of Ohio. In Ohio when a child is born without the benefit of marriage or, in other words, the parents of the child are not legally married in the eyes of the state of Ohio, the Mother, as a matter of law, is the “custodial parent” of the child. The alleged Father of the child actually has no legal rights to visitation or custody until a parent/child relationship (paternity) is established. In Ohio, the legal right to visit a child may require a Visitation Order from the Court. But first, paternity must be established if there is any dispute about it. 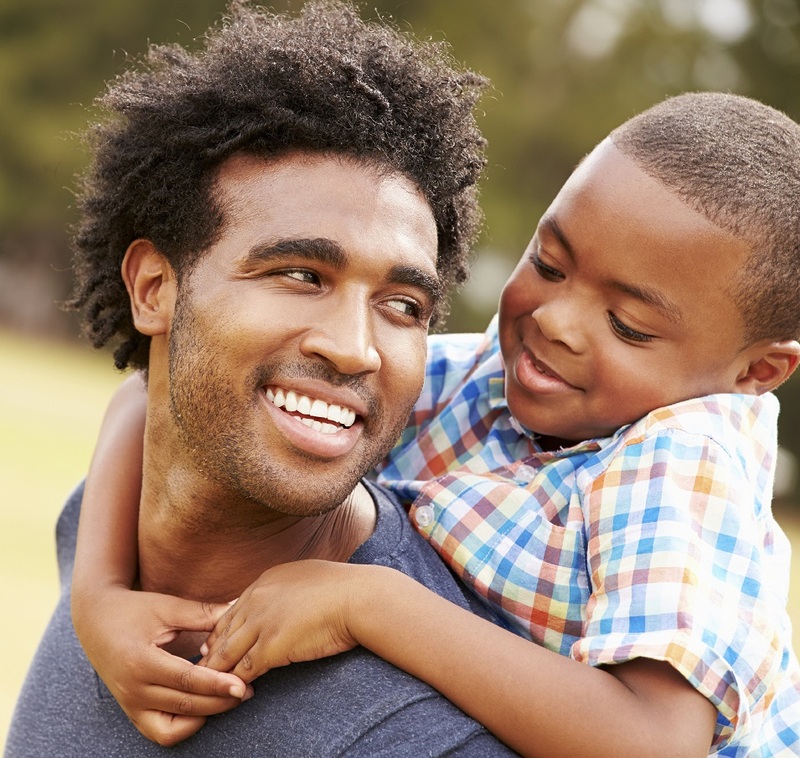 If you are an unmarried father, and your “ex,” who has legal rights to the child, won’t let you see your child or take your child to your home you may need to go to the courts to get legal rights to see your own child. That may sound a little absurd, but if you take the matter to the courts, you may have to file a paternity lawsuit. • Obligations to support the child. If an unmarried man is certain he is the Father of a child, according to the law in Ohio, he may have to prove it. He may have to file a paternity lawsuit. The Court will then decide if he has legal rights to the child. Likewise, if he does not acknowledge the child, or there is some other reason paternity of the child is in question, the Mother may file a paternity action stating who the Father is, or that she is not sure who is the Father of her child. The Mother may name the person or persons she alleges to be the Father and provide other information to the Court about these individuals so the Court can try to determine paternity and child support payments can be ordered. If the Father is not married to the Mother, he may voluntarily come forward and accept paternity of the child in what is known as a voluntary acknowledgement, or “affirmation of paternity.” Both parties, the Mother of the child and the Father, sign the affirmation which must be notarized. This affirmation is sent to the state of Ohio which forwards it to various agencies such as Child Support Enforcement, the Ohio Registrar and the Ohio Department of Health. Genetic testing is the most common method currently used in Ohio to determine paternity. A genetic test can be done by buying a DNA kit at a drugstore and following the instructions in the kit, BUT Ohio courts do their own genetic tests for the purposes of validly establishing paternity. This ascertains that the test is more competently and correctly completed. Until a genetic test is conducted by a competent court, paternity is not established in “a competent jurisdiction,” according to Ohio law. The Mother remains the custodial parent of the child. A Father must be shown to be the actual biological father of the child. Until then, he has no legal rights in that child. Once paternity is established, the Father has all the rights and responsibilities of any other father in Ohio. This includes custody and visitation rights (as long as the Father has sought them and they have been granted by the Court). Under Ohio law, this is calculated in the same way as any other child support calculation. However, the Ohio statute authorizes the Court to award child support retroactive to the date of birth along with birthing expenses. This is another possible aspect when discussing a child born to parents who are not married. However, every person in a paternity action does not have to pay “back” child support. You may need to talk to a lawyer about this. Child support and visitation are separate issues. A Father or Mother or both parents are mandated to pay child support by the Court. Visitation with a child cannot be withheld by the other parent because a parent is behind in child support payment. Any amount of child support that does not go through a county agency is not counted by law. For example, if a Father buys needed items for his child, this does not count as part of the child support payment. In a divorce action between two parents, child support will be calculated under Ohio law. As stated previously in this article, determining paternity can be a complex issue. It can also be very straightforward. If you need help with issues of family law, you may decide to contact an attorney. You may think you cannot afford a lawyer, but you may want to meet with a family law attorney before deciding. Many of the decisions you will make in a family law case will be very important and could greatly affect your life or the life of your child. You do not want to fail to do something that you will later regret. Please contact us for a free consultation to discuss your case with one of our experienced domestic relations attorneys who will help you with your paternity questions. We can be reached at any time by calling 1-888-774-9265, chatting with one of our 24-hour live chat operators or sending us a website message. What county in Ohio do you live? "I was looking for a Law Firm that would represent me in my case and after a few weeks of calling firms, Attorney Hawkins' timely response and urgency to assist me made the situation easier to bare."